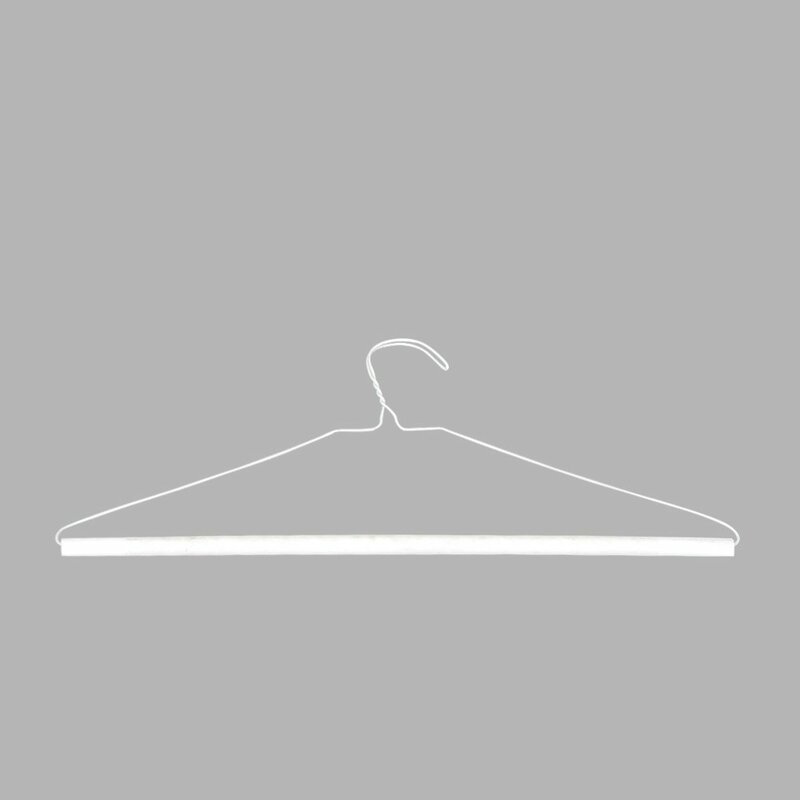 * High Quality Powder Coated (White Color) Wire Hangers with thickness 1.9mm, and length of 16 Inches. * Contains a strong cardboard roll with glue, specially designed to carry Trousers. * For use while packaging of Trousers. * 250 pieces per carton.